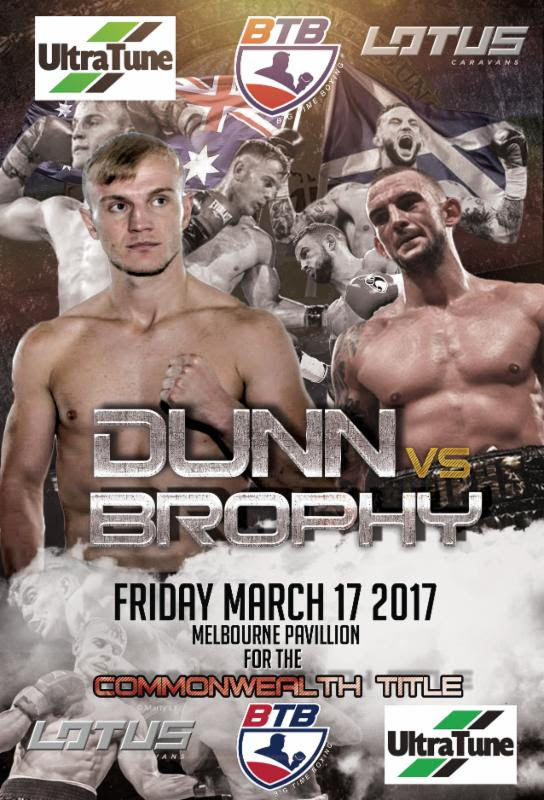 Undefeated Star Boxing® British Empire Commonwealth champion Zac Dunn 23-0 18KO’S Melbourne, AU will defend his title on March 17th against Scotland’s Dave Brophy 18-1-1 2KO’S at The Melbourne Pavilion in Flemington, Victoria. The bout is scheduled for 12 rounds. The exciting Australian Super Middleweight was once again very impressive in his last outing as he dominated Liam Cameron on route to capturing the vacant British Empire Commonwealth Super Middleweight crown. That bout was on November 25, 2016 at the same Melbourne Pavilion. Dunn is currently rated #5 by the WBC, IBF, and WBO and has become a big attraction in his native Australia consistently selling out his fights. Dunn has fought his last 4 fights in his native Australia and has kept up a very busy schedule this being his 5th fight in a little more than a year’s time. Brophy, a tough challenger, is coming off two consecutive victories after suffering his only loss to former world champion George Groves April 9th of 2016. Dunn promoter Joe DeGuardia had this to say about Zac’s upcoming fight “Zac Dunn is a throwback fighter who loves to stay active. He is defending his British Empire title for the 1st time against a highly skilled boxer in Dave Brophy. The fans in Australia have been great supporting Zac’s fights and are getting bigger each time out. I think Zac is on the verge of a major world championship fight but first he must take care of business on March 17th which I fully expect him to do”.